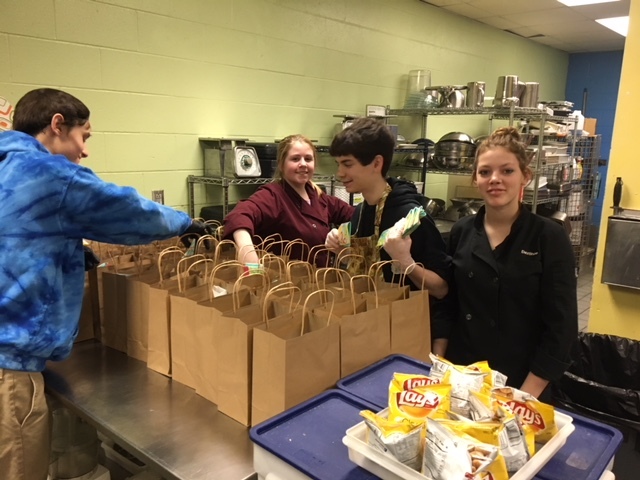 The Lunch For Leaders sandwich drive, held Friday, March 15 sold 91 sandwiches to help raise funds to send additional students to RYLA in June. Thanks to the culinary arts students at BRCTC for their assistance. Pictured left to right: Morse Interact club member Alden Harkins, BRCTC students Emma Boynton, Noah Reed and Deztinae Emerson.